Todaiji Temple is one of the most iconic temples in Nara, even all across Japan. That is located a short walk from the center of Nara. 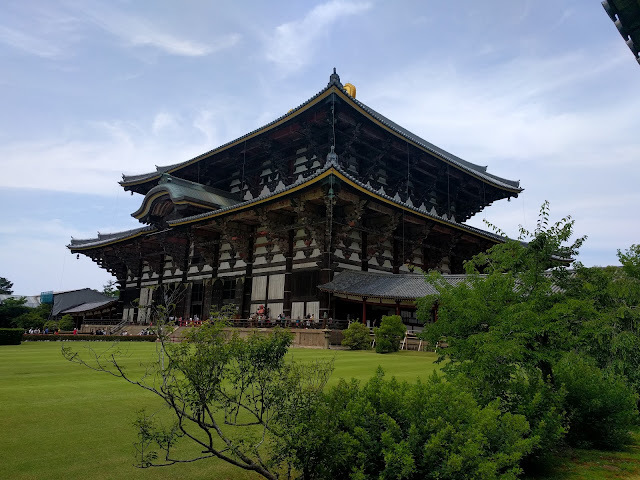 Todaiji was founded in 745 as a headquarters of one of the sects of Japanese Buddhism under the hope of the peace of the nation and the prosperity of the people. The main hall of Todaiji called DAIBTSUDEN(The Great Buddha Hall) is the largest wooden structure in the world, 57.5m width, 50.5m depth and 49.1m height. That has beautiful architecture even though has rebuilt twice due to destruction by fire in 1181 and 1567. The hall that we can see currently was constructed in 1691 and became two thirds of the original size. 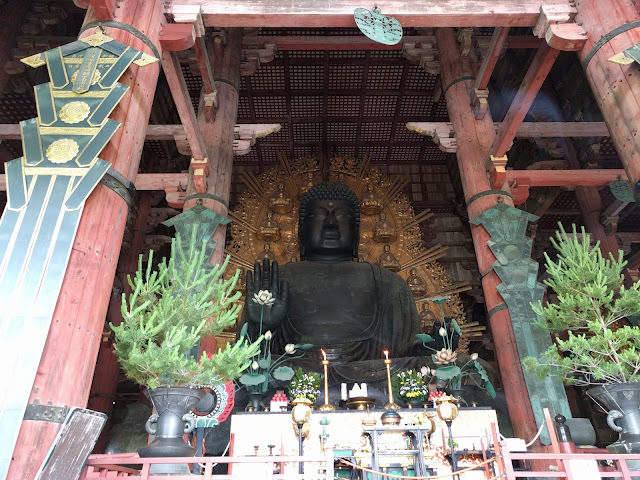 In the hall, a 15m height bronze statue called DAIBUTSU(The Great Buddha) is seated. The Great Buddha had been started to build in 743 and was open to the public in 752. This is because the emperor tried to govern the nation and reduce disasters that occurred at that era such as drought, famine and the Variola virus by belief of Japanese Buddhism. The statue has been there for over 1200 years to watch out for Nara's and Japan's safety. Visitors to the Great Buddha Hall will pass through two gates. 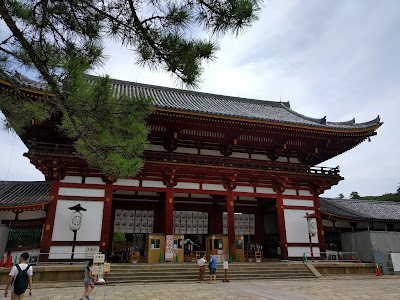 One is NANDAIMON(The Great Sourth Gate) which the two giant wooden guardian gods stay at. 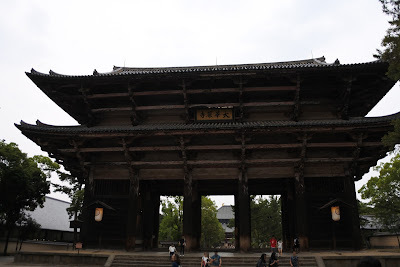 The other gate is CHUMON(The Middle Gate) which has other two wooden gods as well. They can enjoy to see and feel the symbols of the ancient NARA in there.